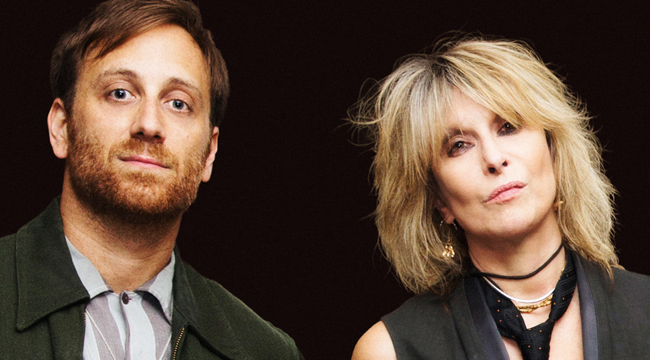 Two former Akronites, Black Keys/The Arcs singer-guitarist Dan Auerbach and singer Chrissie Hynde, worked together on the latest offering from the Pretenders. 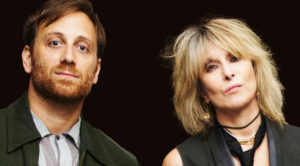 Alone, the Pretenders’ first new album since 2008’s Break Up the Concrete, features a top-notch studio band that includes bassist Dave Roe (Johnny Cash, Loretta Lynn, Sturgill Simpson), pedal steel guitarist Russ Pahl (Blake Shelton), guitarist Kenny Vaughan (Lana Del Rey), keyboardist Leon Michels and drummer Richard Swift (the Arcs). Hynde spoke to us about the album and her career via phone from a tour stop. You’re on tour with Stevie Nicks. What’s that been like? Did you know her prior to this tour? We’ve met over the years. Everyone meets each other over the years in this game. I would think you have fans in common. Yeah, there’s some crossover. Her fans are really gracious to us, that’s for sure. We know it’s not exactly our audience. We’re doing a shorter set and including more hits than new songs. It’s been a real blast. Stevie is great. I do a song with her and it’s really fun. Talk about the decision to give up meat. What prompted you to take that path? You were vegetarian before it was cool. It wasn’t about that. It was about realizing there was no reason to kill animals. You don’t have to do that to eat. I’m not bothered about nutrition or health or anything like that. I’m more interested in the treatment of animals and I guess the benefits are health. That’s not where I come into it from. It was 1969 when I made that decision. How did you go about educating yourself? There’s nothing to know. There’s a whole country called India that’s been vegetarian for thousands of years. There’s not anything else you have to know. Anyone has to think about it for a few minutes. Just imagine what goes on in a slaughterhouse. That takes 30 seconds to think about and you don’t need any more information. I started an environmental group in 1988 as a way to encourage vegetarianism and we branched it out. Even in the ‘80s, so-called environmentalists were meat eaters. It is a complete disconnect from the real causes of destruction. [My Akron restaurant] VegiTerranean was another way to encourage people. I’m more upset than anyone about the way it folded. I didn’t take any advice. Everyone told me it would lose money and it wouldn’t work. I decided to do it anyway. I was the only investor. I didn’t go to anyone for advice. Anyone would say you should never be the only investor but I couldn’t have gotten anyone else interested at that time in Akron. I was trying to make records and be on tour [but] the problem wasn’t with external things. It was with me because I didn’t take any advice. I did it because of animal welfare. That was my thing. I still maintain that if even one 13-year-old walked in there as a meat eater and walked out a vegetarian, it was still worth all the grief for me. When did you first meet Dan Auerbach? Well, I admired him from afar. I’ve seen his band over the years a couple of times. I was a fan of his music. I didn’t research him as a producer so much. I just like his vibe. That’s all I go by when I work with people initially. I told my manager that he was number one on my wish list. He got in touch with his manager and we agreed to go in. It was a fantastic experience. Why do you think Akron has produced so much great music over the years? I think most towns have. Musicians are everywhere. I think bands will come back. I think we have a nice climate for bands to come back though I wouldn’t have said that a few years ago. I think we skipped a few generations that were wasted on reality television, which they watched with their parents. They have a lot to rebel against. I sense that 16-years old will start picking up guitars again and getting in bands because it’s still the best thing. It’s not as fun to sit on the internet as it is to get into someone’s basement and make a noise. There’s a form of self-expression there that’s extremely attractive to any teenager. I’ve never met a teenager who didn’t want to be in a rock band. In your initial discussions about the album, what did you and Dan want it to sound like? I just sent him some demos. He would say yeah or nay. There was no game plan. You just start recording and see what happens. He lives in Nashville and that’s a team of musicians he works with a lot. The bass player had been Johnny Cash’s bass player, and the guitar player Kenny Vaughan goes out with Marty Stuart a lot. They’re in Nashville so that makes sense. But every musician I ever met really wants to play in a rock band so they were all really excited to do this. I like the fact that the album veers from really grunge-y tunes such as “Gotta Wait” to atmospheric tunes like “Never Be Together.” Do you think it of as one of your more eclectic efforts? I like to think our first album was similar to that. It had ballads and quiet moments and a lot of rockers and punky things. I haven’t been able to get it as right as I would like to every time. No one can. I feel great about this album, I must say. It’s not a formula, but I haven’t changed. I still like the same things and this form of expression. You just move on with your life and talk about what’s going on at the time but the band formula hasn’t changed very much for me. The title track is a celebration of being “Alone.” Why do you think so many people have trouble being alone? I’m finding that people don’t have trouble with it. I was joking with Dan Auerbach when I first met him and the guys and they were talking about stuff they did over the weekend. I live alone and go to movies alone. A lot of my time is spent alone. I don’t necessarily like that all the time. There are certain things about it that I live with. When I was talking about it, Dan pointed at me and told me to write a song about it. As I was waiting for a cab to leave on the last day of the session, I barked out the lyrics. The response has surprised me. We’ve heard thousands of songs about the trials of being lonely and not being with someone. I haven’t heard any songs about being alone in a positive way. I’ve found there’s a large spectrum of aloneness that touches on those points and people seem to have something to say. A lot of people who are married have told me they wished they had more time alone. People have said that they like to spend some time alone. I would add that I’m not talking about the epidemic of loneliness or people who have no one. I have a band so I’m pretty happy. I can afford to have some fun with it. Some people can’t afford that. I don’t mind doing things on my own. I would rather have someone to do most things with. If I don’t, that’s the way it is. I’ve learned that everyone feels differently and responds to things differently. That’s not really my concern. In songs, I have to express how I feel. If someone says, “I know what you mean,” that’s a good thing. I’m not looking for that. I’m just trying to get it off my chest. What was writing the book like? That was something to clear the decks and move forward in my life. When you’re asked a lot of questions all the time about why you do things and about things you’ve done, sometimes you wish you could stop doing that. The idea behind writing that was to turn a page on it. I didn’t expect it to end in 1983. But when half my band died, it didn’t feel right to keep going. It felt almost disrespectful to add anything to that. Are you planning a follow-up book? Not at the moment. I’m just planning to get through this tour. Were you surprised the book caused such a stir? First of all, I don’t read any of my press or look through anything ever. It didn’t bother me at all. I had some alarmed emails from friends asking if I was alright. The woman who wrote the article that some of these misquotes were taken from wrote to me and said, “Oh my God.” I told her not to worry because I don’t read anything about me. She was upset about it. These things were taken out of context and that’s what people latch onto. I’m aware of what went on now but at the time I just didn’t care. It wasn’t in my consciousness. I would add that the book I wrote was the light version of my story. I didn’t get dark. I didn’t go into any real madness. I didn’t want to hurt anyone’s families or address anything that was really painful. I kept it the light version of my story. I don’t think it ever hurt anyone. What’s it like for you to come back to Akron and play to a hometown crowd? It must be fulfilling. You know, I feel the same wherever I play. We’re on stage and in the band doing what we do. I get off within the band experience and hope everyone else likes it. In the past, I felt like hometown gigs are ones where you’re observed by people who know you. That makes it feel like more pressure. I don’t feel that anymore. I do the show and hope we do a good show. It’s good to see friends but we have to drive to the next gig. Stevie takes time off but we do on our own shows on the days off. It’s fantastic. With her, it’s a different experience. I don’t like being in big places but the arenas are very personable. I really enjoy it. I would rather not look at a screen and see someone up close but we do our own shows and we can do our own songs. It’s the perfect tour. It has been.